Do you want to keep neighborhood cats out of your garden? 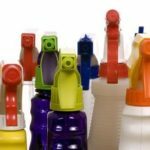 There may be different reasons to do so, such as trying to save your flowerbeds and birds, stopping your indoor cat’s urine spraying or redirected aggression, or you may just not be a cat person. 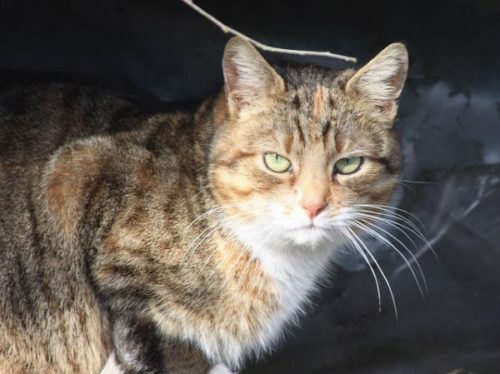 In this article, you are going to learn how to keep roaming cats out of your garden easily, effectively, and once and for all. This is the most effective method to keep cats out of the garden. Why? Because it works every time, not just when you or your dog gets to chase them. 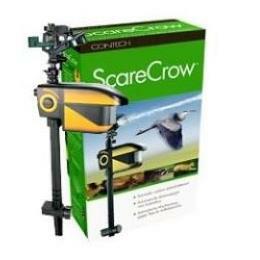 Contech ScareCrow is a water sprinkler with a motion detector. Water sprinkling cat deterrents, such as ScareCrow or Spray Away, cover large areas, so you will need fewer to secure your garden. Their downsides are, obviously, the necessity to connect a water hose and turn it off. Ultrasound cat repellents (make sure to get one intended for outdoor use) emit an ultrasound, which is disliked by cats (and rodents) but inaudible to humans. They cover a smaller area but only need batteries to operate them and can be left on at all times, except when YOUR cat is in the garden. Plants, open trash, food and food leftovers, and bird-feeders–these are a few of cats’ favorite things. As long as you have them in your yard, it will be very hard to keep cats out of your garden. Make sure that the trash container is sealed. If you have a compost, either prevent throwing smelly foods in it or cover it with leaves, grass, or dirt. Several garden plants attract cats. The most common are catnip (Nepeta cataria), valerian root (Valeriana officinalis), cat thyme (Teucrium marum) and lemongrass (Cymbopogon citratus). Avoid these! There are other plants that attract cats, too. 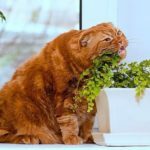 Basically, if there’s a plant attracting cats to your garden, you are likely to see some cat activity around it, such as nibbling and digging and rubbing against it. Cat attracting plants. Photos (from left to right) by: M. Lavin, K. Stüber, H. Zell, R. Kojian. Licensed under creative commons. If you have bird feeders, you have to know that they attract cats. Oh, you already know it. Removing your bird feeder (never do it in the middle of winter!) will stop bird-loving neighborhood cats from stalking around your garden. If you want to keep the bird feeder, you will have to make heavier use of the repellers mentioned above, but you will succeed. The list is not limited to the above. Most likely, if there is something that attract cats to your garden, you already are aware of it, or at least, suspect it. It is in your best interests is to remove, limit, or block access to it. Just as there are plants that attract cats, there are also plants that drive cats away from your garden. Do they work? Yes and no. Plants that deter cats from garden work locally. 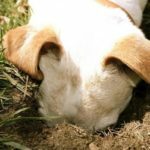 Therefore, you can use cat-deterring plants effectively to protect your flowerbeds and certain areas of your garden, but you will need a hell of a lot to keep your whole garden clear of cats. The most common cat-deterring plants are Coleus canina, lavender, pennyroyal, and lemon thyme. Ask your nearest plant nursery what the most accessible cat-deterring plants in your area are. You may also find plants and seeds online. The above should be enough information to successfully keep cats out of your garden. 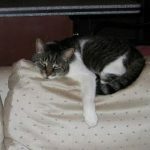 There is also lots of advice on the Internet that does not work very well, such as putting citrus peels on the ground (they deter cats initially, but dry within few hours) or using different surfaces (they work extremely locally, and you will need to cover your whole yard with them to keep cats out of your garden). Is your indoor cat bored? 8 ways to entertain a cat!